Martin Mastik studied guitar in London with John Duarte and lute at the Early Music Center with Anthony Rooley and Chris Wilson. Upon graduation he received the Hepzibah Menuhin Award and participated in master classes with Julian Bream in Lübeck and Andres Segovia in Los Angeles. Mr. Mastik then embarked on series of concert tours which took him all around the world. In America, he has appeared in San Francisco, Los Angeles, Philadelphia, San Diego, Richmond, Miami, Cleveland and New York. Engagements in Europe have taken him to London, Nice, Reims, Helsinki, Barcelona, Mallorca, Leipzig, Dresden, Prague and Munich (for a concert in Hercules Saal, where he replaced an indisposed Julian Bream, his mentor, at a few hours notice). In Asia, he has played in Japan, China, Macao, Singapore, Thailand, Malaysia, Vietnam, Hong Kong, Macao and the Philippines. He has also performed at many prestigious festivals, including Lahti, Verbier, Nice, Schleswig-Holstein, Pollença-Mallorca, Istanbul Music Festival, Toledo International Music Festival, Miami Tango Festival, Macao International Music Festival, Flâneries Musicales d’ Eté de Reims and in Tours, where he was featured soloist in a televised performance of Vivaldi’s Double Concerto for Viola and Guitar with Yuri Bashmet and Moscow Solisti. Mr. Mastik has taught at the University of Tokyo, the Royal Scottish Academy of Music and Drama in Glasgow, the National University of Singapore, National Arts Academy Kuala Lumpur, Chulalongkorn University Bangkok, Ho Chi Minh City Conservatory of Music, Temple University in Philadelphia, Malta Conservatory, Toledo (Spain )Conservatory. He has also held master classes in Assisi and at the International Summer Music Academy in Nice. His engagements have included a recital with Frederica von Stade at the Palau de la Música in Barcelona, a solo recital and chamber music concert with Nigel Kennedy and Cho-Liang Lin at the Verbier Festival, an all Schubert program recital at the Schubert Festival in the Library of Congress, Washington, D.C., concert with Pražák Quartet on Regensburg Music Festival, solo recitals at Bing Theater at the Los Angeles County Museum of Arts, San Francisco California Palace of the Legion of Honor, San Diego Museum of Arts, Manoel Theatre Malta, Palace du Culture Algier and at the Cleveland Museum of Arts. In 2002 – 2003 Mr. Mastik also toured Malaysia, Vietnam, Singapore, Thailand, Algeria and Malta giving recitals, master classes and TV live concerts under the patronage of the US Embassies. Mr. Mastik discovered and gave the first world performance of Mario Castelnuovo-Tedesco’s Third Guitar Concerto – Capriccio Diabolico in the revised version for Guitar and Orchestra with the Bergen Philharmonic Orchestra under Dmitri Kitajenko in Grieg Halle, Bergen, Norway, in October 5, 1996. 28th November, 1999 Mr. Mastik premiered the Capriccio Diabolico in Germany with the Gewandhaus Orchestra Leipzig with Herbert Blomstedt conducting, at a special UNICEF Gala concert. The British premiere of Astor Piazzolla’’s Guitar Concerto was given by Mr. Mastik in London Royal Festival Hall with the London Philharmonic Orchestra in 1998. In April 2002 Mr. Mastik gave the premiere of Astor Piazzolla guitar concert with the New World Symphony – Miami. In 2003 season May 10th, Mr. Mastik was a soloist in Astor Piazzolla’s guitar concert with Dresden Philharmonic. Martin Mastik, an American citizen born in Czech Republic, plays a “Perseveranda” guitar made by Jose Luis Romanillos. Reviews: New York Times – “A talented artist: his instincts are directly musical, skillful and intelligently conceived performance.“ L. A. Times – “A dramatic, purposeful and intensely involved performance, refreshing fluency and conviction.” Die Welt – “The festival has already produced a number of stars – Midori, Gil Shaham, Evgeny Kissin, Vadim Repin – and has long been a place where first-class talent is forged … this is true, too, for the guitarist Martin Mastik, who was irresistible … they all have something when they arrive and are somebody when they leave.” Birmingham Post – “captivated his audience by formidable talent combined with great personal charm.” Sun – Sentinel Miami, April 8, 2002 – Guitarist Martin Mastik and bandoneon player Daniel Binelli proved richly idiomatic solo protagonists in Piazzolla’s Double Concerto for the two instruments. Mastik was superb in his atmospheric opening cadenza. 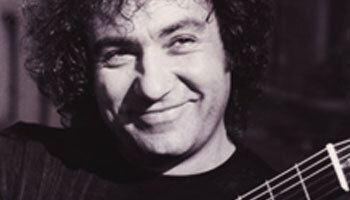 Dresden Neueste Nachrichten, May 12, 2003 – Guitarist Martin Mastik in Piazzolla’s “Homage à Liege” handled his instrument with lover’s gentleness and raised the listeners from their seats.